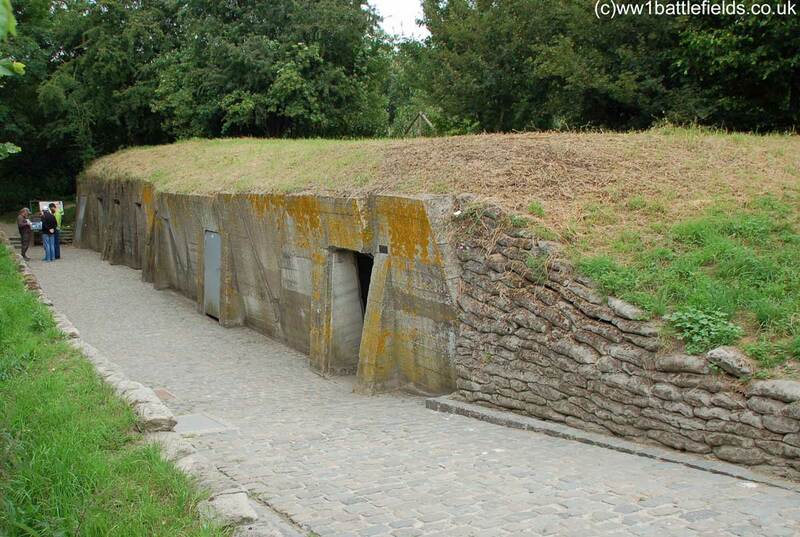 Essex Farm was the location of an Advanced Dressing Station (ADS) during the Great War, from April 1915 until August 1917. It is the name given to the war cemetery here, and the remains of several bunkers some of which were used by the ADS can still be seen. 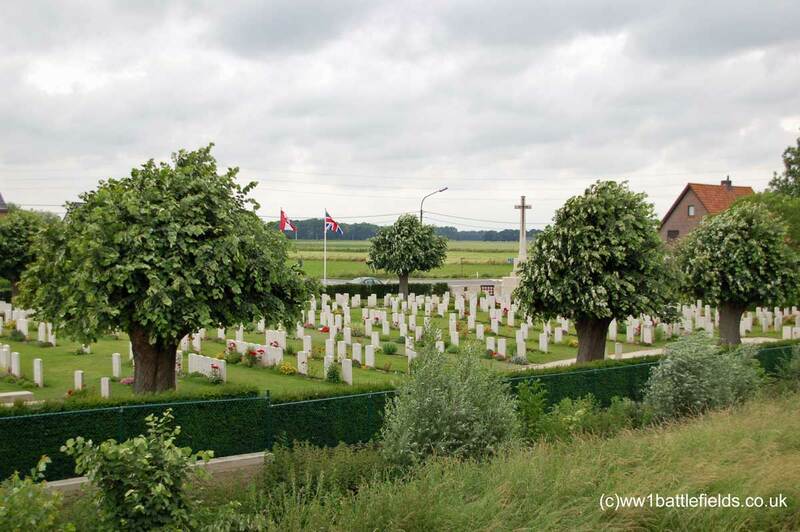 The site is located just north of Ypres, and can be reached by taking the N369 north from Ypres, towards Boezinge. The N369 passes under the main N38 trunk road just after leaving the outskirts of Ypres, and Essex Farm Cemetery is located on the right hand side of the road just after this as you head north. 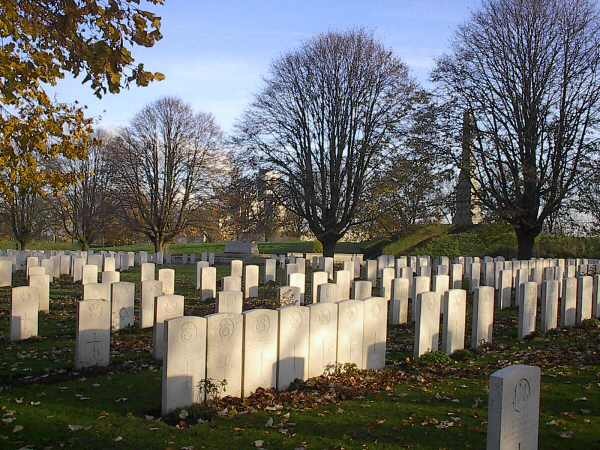 The somewhat haphazard and irregular layout of the graves here shows this is a war time cemetery, rather than the more regular layouts typical of post-war concentration cemeteries. There are 1,205 burials, with 103 of these unidentified. There are 19 special memorials to men believed to be, or known to be, buried here. 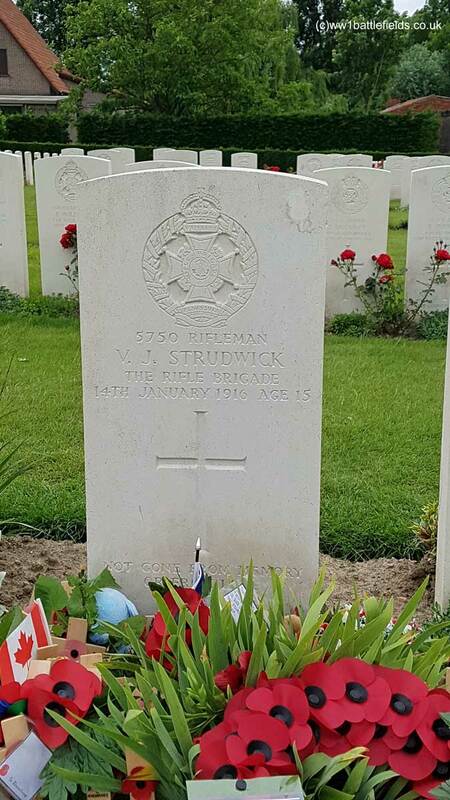 Buried here, in Plot 1, Row U Grave 8 is Valentine Joe Strudwick, who died in action very near here in Boezinghe on the 14th of January 1916, aged just 15 years and 11 months. He was from Dorking in Surrey, and known as Joe. He lied about his age to enlist when he was just 14. His mother, Louisa, chose the inscription that can be seen on his headstone: “Not Gone From Memory Or From Love”. 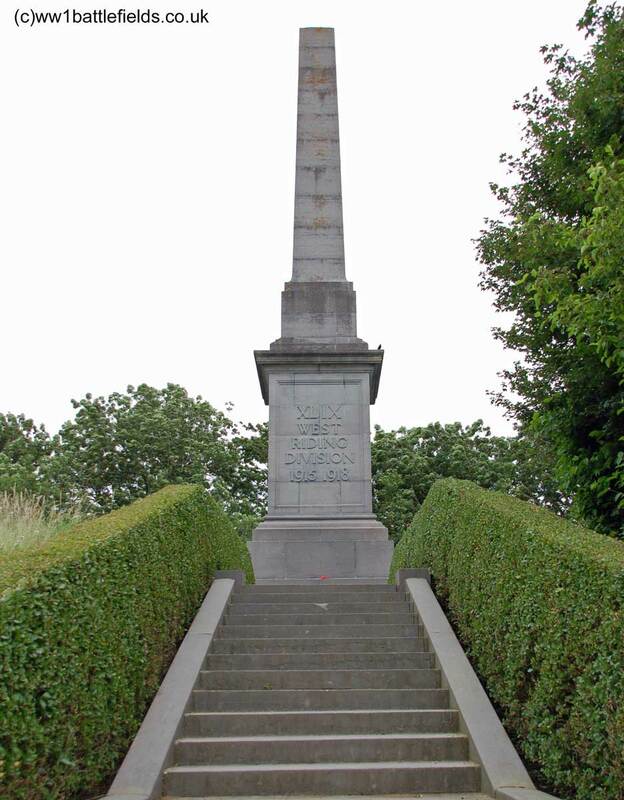 Just behind the cemetery is a memorial to the 49th West Riding Division. 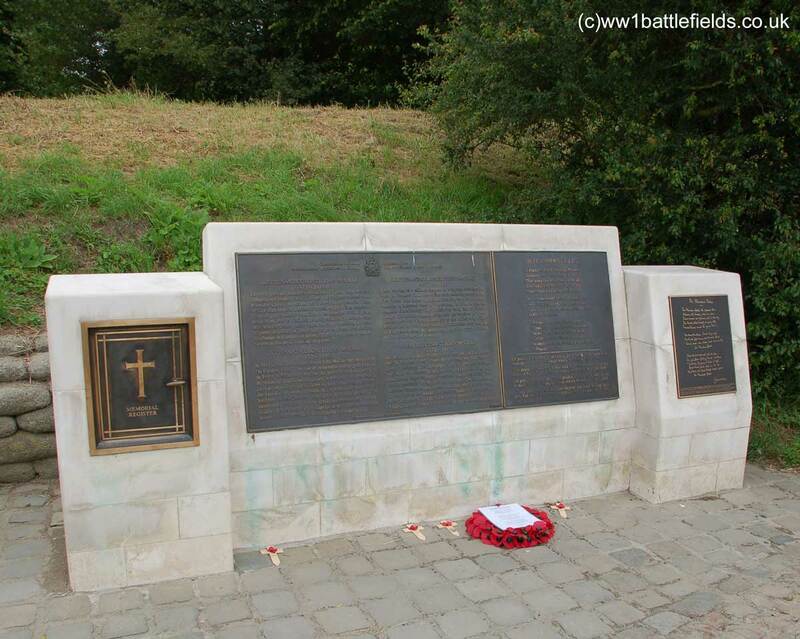 Men from this Division served here in 1915, and several are buried in Essex Farm Cemetery, in Plot 1. In todays pleasant landscape, it is easy to forget that the Ypres Salient was scarred by battle. But the relics from the conflict lie just below the surface almost everywhere. The Diggers excavated here in October 2001 and uncovered a narrow gauge railway, which would have been used to transport supplies. 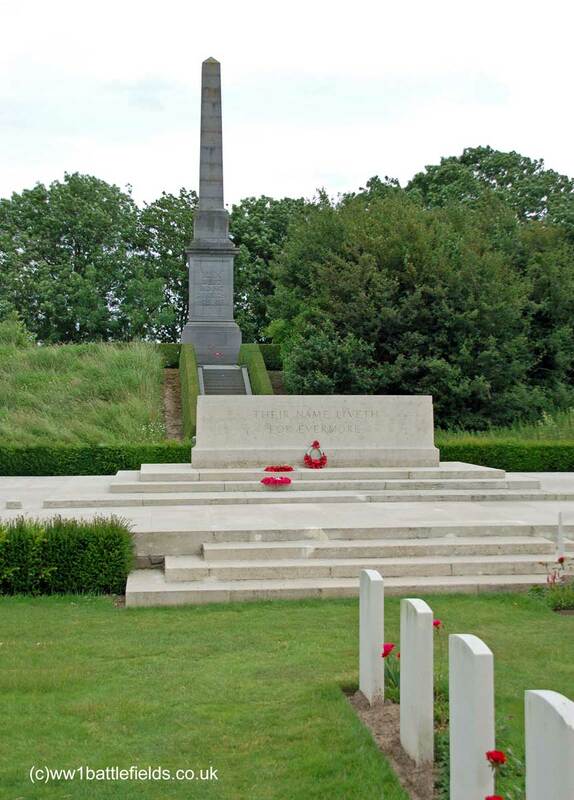 The monument to the 49th Division can be seen in the background; a juxtaposition of the battlefield itself and the memorial to those who died here. On the outbreak of the First World War, he enlisted within the first few weeks and was sent overseas in September 1914, again with the Canadian Field Artillery. Whilst stationed at Essex Farm, in May 1915 he was moved to write the famous poem “In Flanders Fields“, after one of his friends, Alexis Helmer, was killed and buried. Seeing the poppies blow around the graves led to the best known image of this poem. “In Flanders Fields” was published for the first time in Punch in December that year, and has since come to encapsulate the sacrifice of those who fought. Sadly Helmer’s grave was lost later in the War, and he is commemorated on Panel 10 of the Menin Gate in Ypres. In Flanders Fields, as it appeared in Punch, December 1915. Punch copy courtesy of the late Peter Flack. This simple and short poem is extremely moving, and when you visit Flanders and see the poppies blowing in the cemeteries, you cannot fail to be touched by the words of the poem. Even in 1918, shortly after his death, his obituary in The Times recorded that “the volume of his work was small, but his verse has obtained a lasting place in modern anthologies.” The poppy has of course since become the major symbol of Remembrance. John McCrae continued to serve during the Great War, until in January 1918 he fell ill with pneumonia, and died on January the 28th 1918. He is buried at Wimereux cemetery near Boulogne. Further information on John McCrae’s life can be found on the Veteran Affairs Canada website. In between the cemetery and the bunkers (see below) is a fairly recent memorial to McCrae. The left panel holds the register, whilst the main middle panel gives a brief history of John McCrae in several languages, with the poem itself to the right. The right hand panel shows the poem again, as a handwritten version in bronze. At the front of the cemetery there is also an Albertina marker with the date May the 3rd 1915, commemorating the writing of the poem. 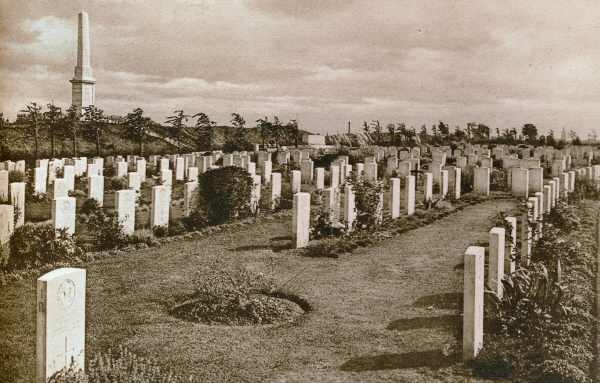 Just to the left hand side of the Cemetery are some of the concrete structures used by the Advanced Dressing Station during the War. For a long time after the War these structures were flooded and inaccessible. Around 20 years ago they were purchased by the town of Ypres, and then restored to allow access and entry. However, when McCrae served here in 1915, these concrete structures would not have been in place. At that earlier stage of the War, timber construction was most probably used. 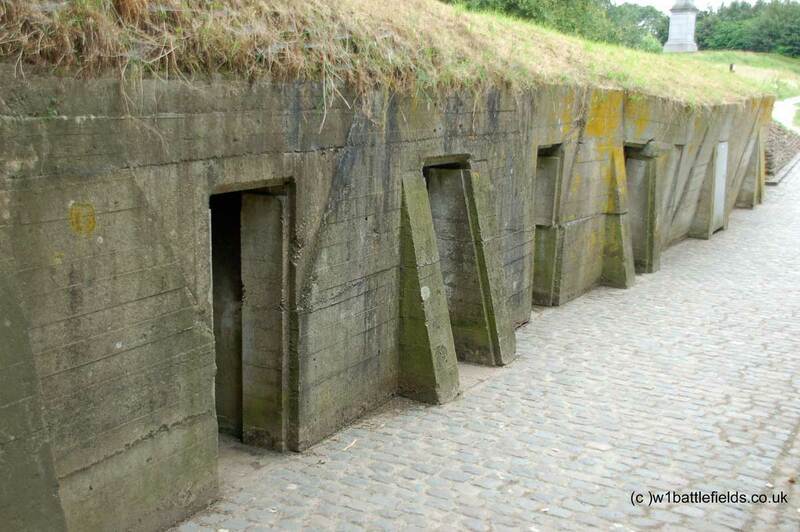 Nonetheless, these bunkers give some impression of the conditions under which doctors and medical staff during the First World War had to operate. An information board located outside describes the uses of each of the chambers, and their small dimensions must have made conditions here difficult. For much of the War, the front lines were less than two miles away. One can only imagine doctors operating in the small chamber shown below, with shells bursting close by. North of the ADS bunkers the tops of two dugouts can be seen. Another information board suggests that there were at least six originally, and that they were used as offices, by cooks and as the Quarter Masters stores. Others were located opposite, but no trace of these remain. From here, walk up the slope and through the gate which can be sen in the top left of the photo above. Turn left, and after 200 yards go through another gate. Wooden steps lead down to another bunker. 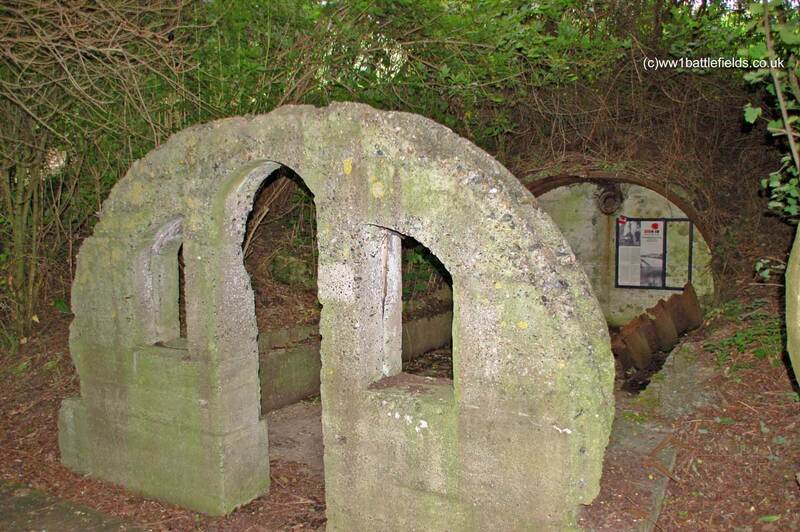 An information board located by it explains that after the Armistice, due to lack of housing, bunkers such as these were used as temporary accommodation well into the 1920s. 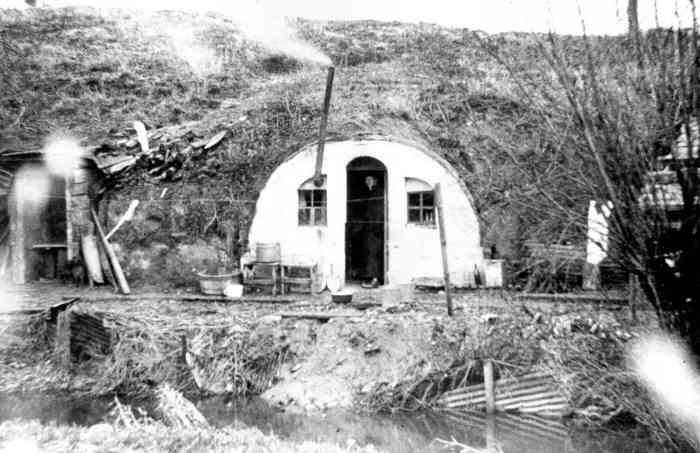 Essex Farm bunker used as living accommodation. Photos provided by Aurel Sercu. 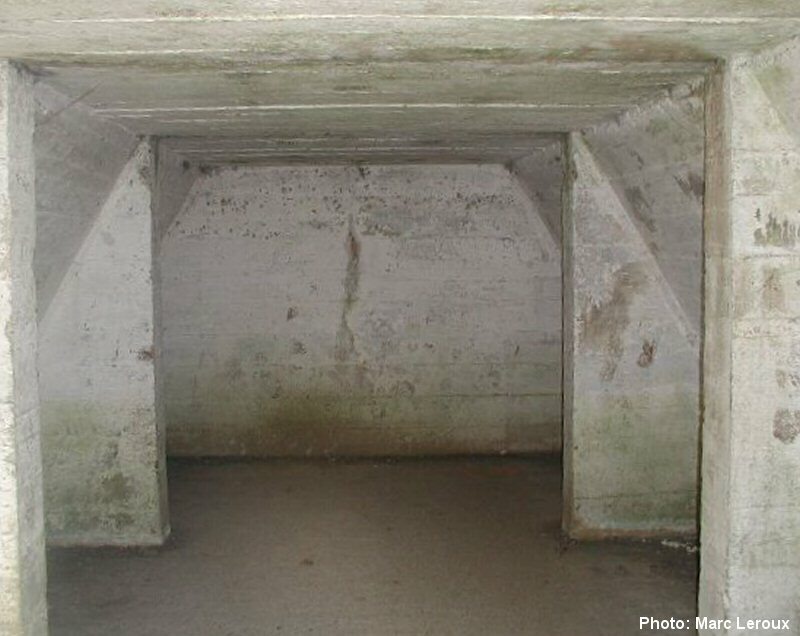 After I first set up this page, Aurel Sercu contacted me and kindly provided the photographs above, which show local people living in this bunker after the War. 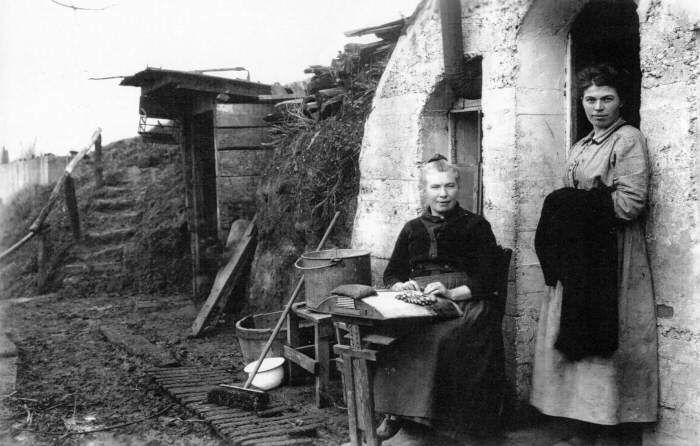 Use of bunkers as living accommodation was fairly common; in Before Endeavours Fade, Rose Coombs describes a British blockhouse in Festubert which was still occupied into the 1970s. A little further north still is another massive bunker, more similar to the ones used by the Advanced Dressing Station. Only the top of this can be seen as it juts out from the embankment next to the canal, and it was easier to see some years ago when the pictures below were taken. This location, in the lee of the canal embankment, would have afforded some protection from enemy artillery. 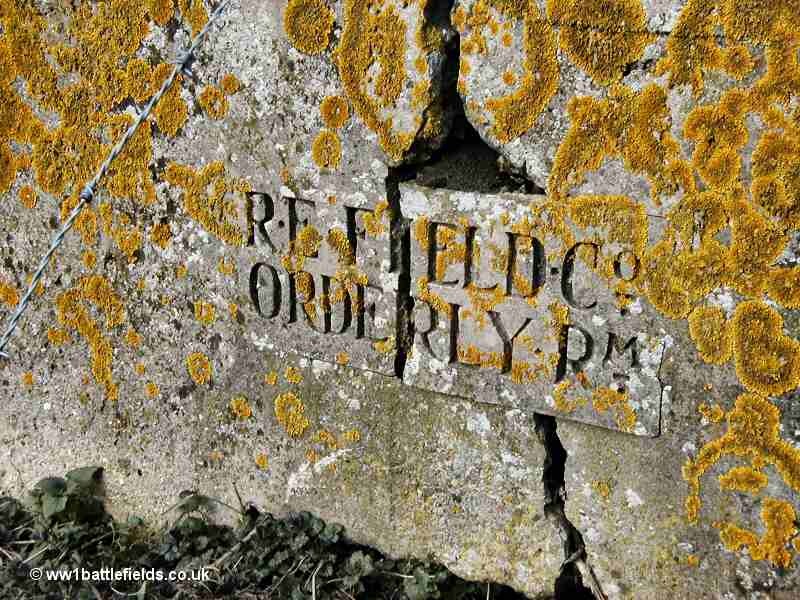 This structure was used by the Royal Engineers as an Orderly Room, as an inscription in the concrete shows. 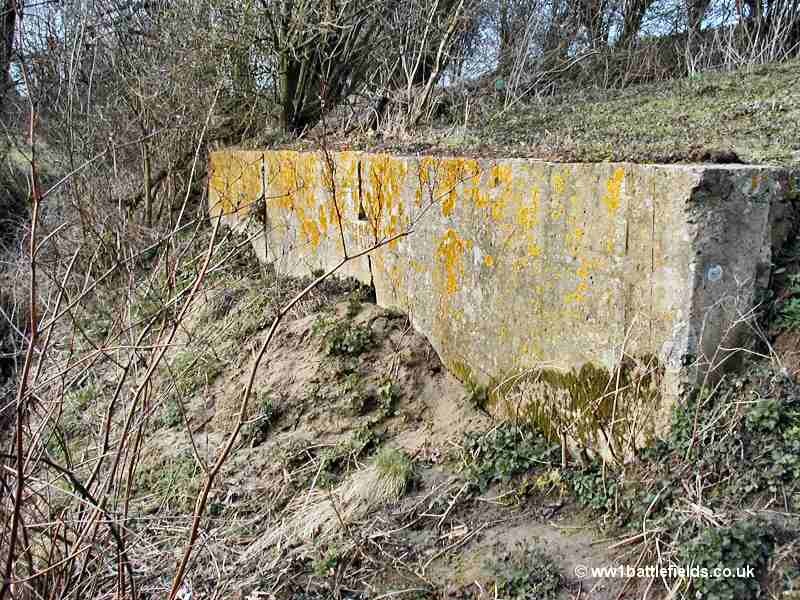 This collection of bunkers is the largest number still visible and located together in the Salient. Very close to this location is the preserved Yorkshire Trench system, and of course Ypres is just a little way south.